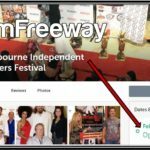 For the first time, the Melbourne Independent Filmmakers Festival will have live streaming video of the red carpet events online! Bookmark this post and come back Friday and Saturday, Oct. 10-11, to see all the fun from Premiere Theaters Oaks Stadium 10! The red carpet festivities begin at 6:30 p.m. each evening. Of course, there’s nothing like being there in person. Go here for the schedule and ticket links. Streaming is over, so we’ve removed the link. 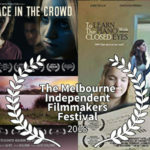 But check out videos from this year’s red carpet on MIFF’s YouTube channel!